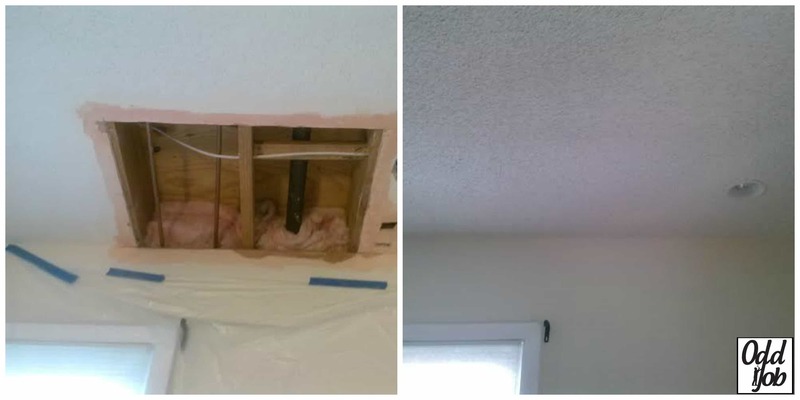 Drywall Repair Services in Toronto | Odd Job Handyman Services, Inc. The walls and ceilings of your home fill more space than any other feature. Because of this, we usually don’t even notice them.. unless something is wrong. Your walls are your space, and damage such as cracks, peeling, discolouration or small holes destroy the flow of your home’s design, make you and your guests uncomfortable, and ruin your property’s real estate value. They’re also often signs of underlying problems, and ignoring them allows these to grow. Patch drywall holes of any size. Fill drywall cracks of any size. Fully restore damaged and discoloured areas. Fully repair tape seams and nail pops. 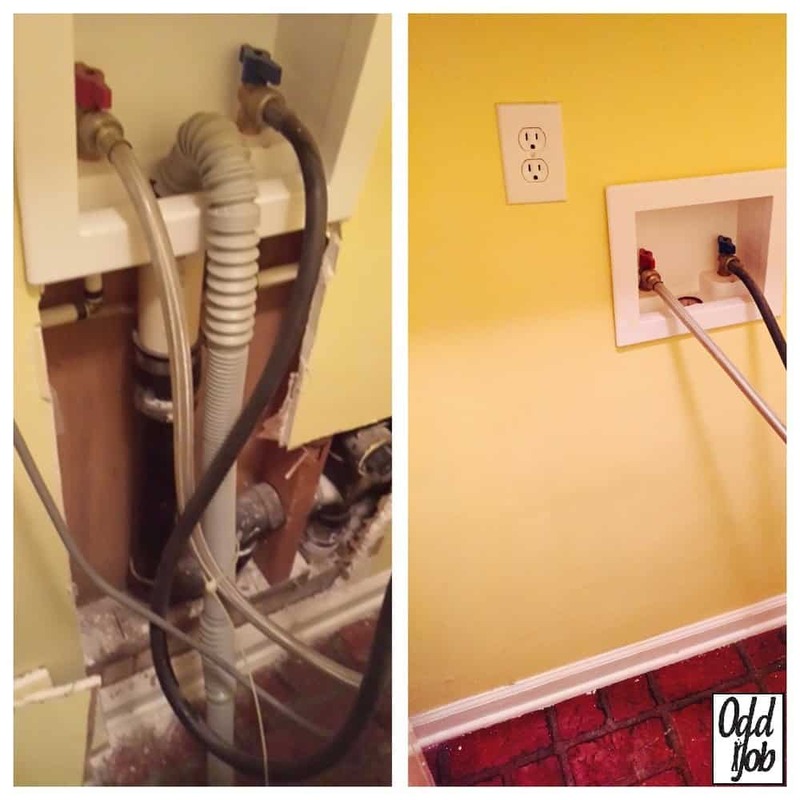 Odd Job Handyman Services is fully-staffed with professional handymen with decades of experience in drywall repair and restoration. They’re licensed, bonded and insured, and have been hand-selected from the best of the best in local professional circles. Holes, cracks and water damage are no match for your friendly neighbourhood handymen! Quite often we ignore or miss the signs of water damage or basement moisture. Many of the signs are hidden in dark corners and behind walls, furniture, or boxes. You cannot overlook these issues, as easy as it may seem. At the first signs of water. It is important however at the first signs to call a drywall repair professional to mitigate the damage and try to stop the growth of mold. What constitutes a sign? Just look where the baseboard meets the floor. Is it bubbled out slightly? Maybe you’ve noticed some paint sliding down the wall. Or perhaps a few floorboards that were always steady now starting to rock when you stand on them. These are all early warning signs of water encroaching in your space, and you need to act fast to attack the problem before it develops into a more serious issue. Imagine a world where you had unlimited time. You could tend to your home every second of every day, and through careful study you could become a master of drywall repair. Now let’s take a snapshot of reality. You’ve got to take your kids to practice, pick up your clothes from the dry cleaner, clean the house and finish off that “to-do list” all before your guests arrive. And even if you can do it, who wants to? You didn’t work all day to come home and wrapped up in chores. Why occupy your time that way when a single phone call could free up that day for the people and activities more deserving of it? We’ll address your drywall issues early – give us a call at (416) 520-1161 or schedule a visit through our online booking form. Acting now will save you time and money. Book us today and watch the items on your “to-do list” disappear one by one, done right and on time.